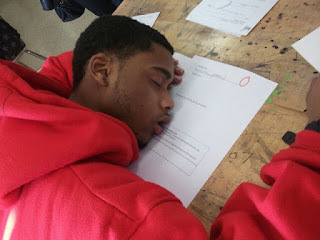 It has become routine for some students to doze off or fall asleep on the reading table. In fact, 75% of students have this syndrome and you could be one of those affected. A good posture while reading is definitely one of those study habits you must learn if you wish to avoid sleep during study time. A good posture (sitting upright with neck and head held upright) makes you more alert and less vulnerable to give in to sleep. When you, on the other hand, are bent or half-sitting or half lying down, you will succeed in dozing off within the first few minutes of study. You definitely do not want that! Before you begin studying, check for and put away items that will take your mind away from studying. Cellphones are the most likely distraction and should therefore not be in your study center. Sleep will take over when your mind starts drifting from the work at hand (studying). It is recommended that you log out of all social media sites and switch off the TV or music player, at least 30 minutes before your study time. This factor also determines whether or not you are to fall asleep during study time. A dim light will most likely stress your eyes, making it difficult to resist the urge to sleep. So make sure the amount of light in your study center is not too bright (to hurt the eye) or too dim (to stress the eye). This way, sleeping becomes the last thing your body needs. It will also increase your chances of staying more concentrated while studying. Taking a nap before your study time also prepares your mind for the next activity (studying). Never try to study when you are tired. It makes it difficult for the mind to concentrate and also makes the entire body weak and vulnerable to sleep. Do not engage in an energy consuming work prior to your study time. this will help you to not easily forget easily after studying. Now you have what you were searching for. We have revealed how to study without falling asleep and you can now beat the syndrome by implementing the aforementioned tips.